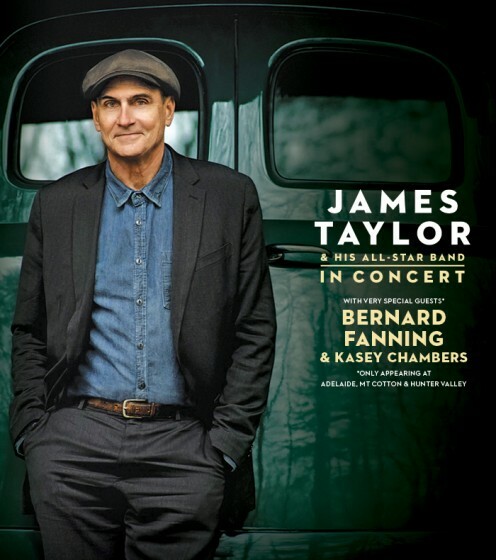 As a recording and touring artist James Taylor has set a precedent to which countless young musicians and solo singer/songwriters have aspired, and has been a compass for fans, articulating moments of both pain and joy. In a career marked by artistic triumphs, the past few years for Taylor have been notable for both creative virtuosity and recognition of exceptional achievement. In 2011, Taylor was honoured with a Carnegie Hall Perspectives series, which consisted of four concert evenings presented by Carnegie Hall and featuring Taylor and personally selected musical guests. In 2012, he was awarded the distinguished Chevalier of the Order of Arts and Letters by the French government and in 2011, was awarded the National Medal of Arts by President Barack Obama. Both medals are their Nation’s highest honours for artistic excellence recognizing “outstanding achievements and support of the arts.” In November 2015, Taylor was presented with the Presidential Medal of Freedom, the Nation’s highest civilian honour.